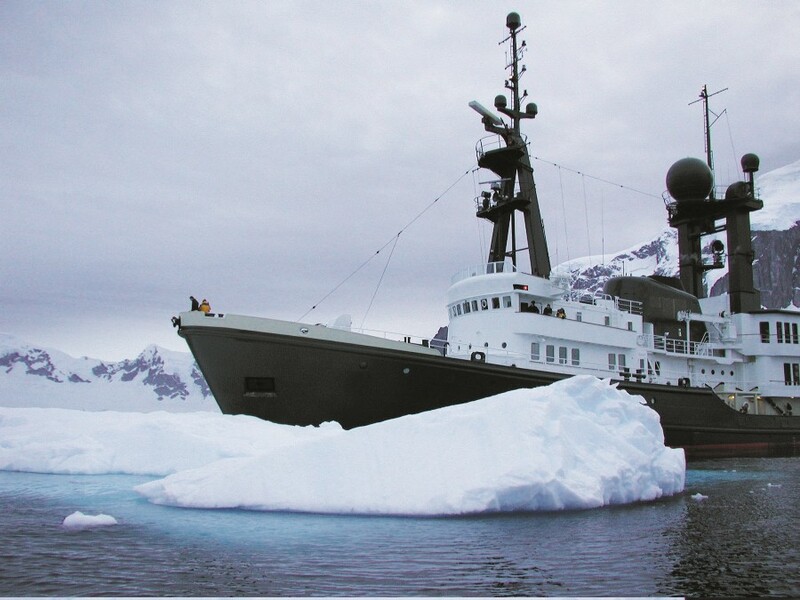 VISITING ANTARTICA in a private yacht is a breathtaking experience. It’s not for the faint-hearted but with a seaworthy vessel and the correct preparation, it is certainly a viable cruising destination. Most of the boats that visit are either large cruise ships, which do not normally make shore landings, or smaller, more rugged ships, some converted from ice breakers or research vessels, which carry 40 to 80 passengers. These smaller ships pack in the sights and are very popular with eco-tourists. 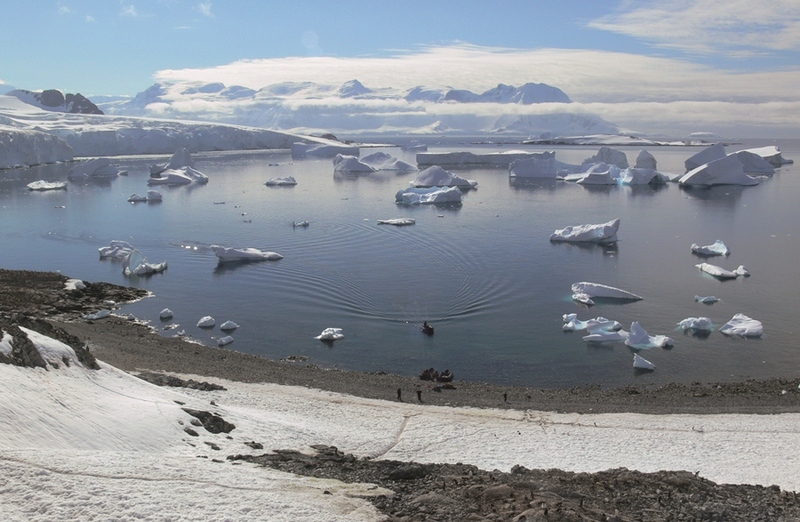 The International Association of Antarctic Tour Operators (IAATO) is the body that maintains control and coordination of professional operators. 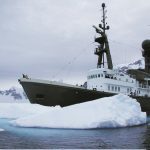 Private yachts planning to visit Antarctica are encouraged to join IAATO and follow the guidelines the organisation has developed to keep people safe and the environment pristine. The small city of Ushuaia in Argentina, located in the relatively sheltered waters of the Beagle Channel, is the most common staging post for vessels departing and returning from Antarctica. At the height of the season (December, January and February), Ushuaia is a hive of activity and provides excellent facilities for provisioning. There are plenty of excellent but inexpensive restaurants (the place is a meat lover’s paradise), an international airport 10 minutes drive from town, and plenty of hiking trails and other land-based recreational activities. 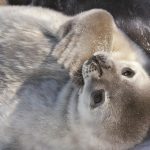 I used Navalia (navalia.com.ar) as port agents and ship suppliers in Ushuaia. Cruising the Beagle channel and the waterways to Cape Horn is a great experience in itself. 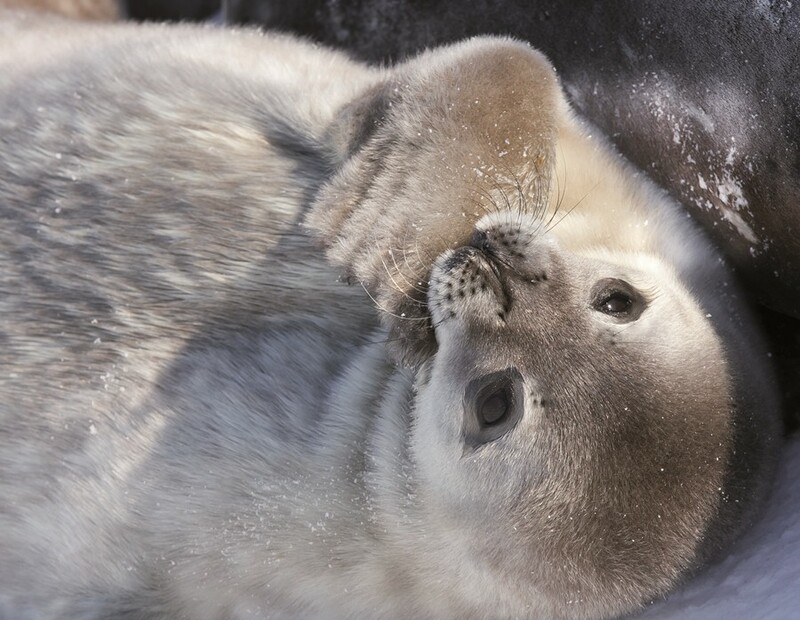 Glaciers flowing into the sea, seal colonies and exotic marine life are all part of the sights you can expect to see, but prudent seamanship is required as the wind can change from 0 to 60 knots in a matter of minutes. And it’s not just Mother Nature you need to keep an eye on; Argentinean and Chilean territorial boundaries have long been in contention and the usual protocols for clearing in and out should be adhered to. The Chilean navy keeps a small presence around the area, particularly in the region of Cape Horn. That said, permission to visit the Chilean Naval outpost at Cape Horn Light House can be sought. It’s well worth a visit and the few naval staff posted there will be delighted to have your company for a few hours. Vessels passing close to Cape Horn will often be ordered by the Chilean Navy to remain outside the 12-mile territorial limit. This is often to little effect as most tourist ships try to get a close pass to improve the view for their passengers, provided the weather is good. 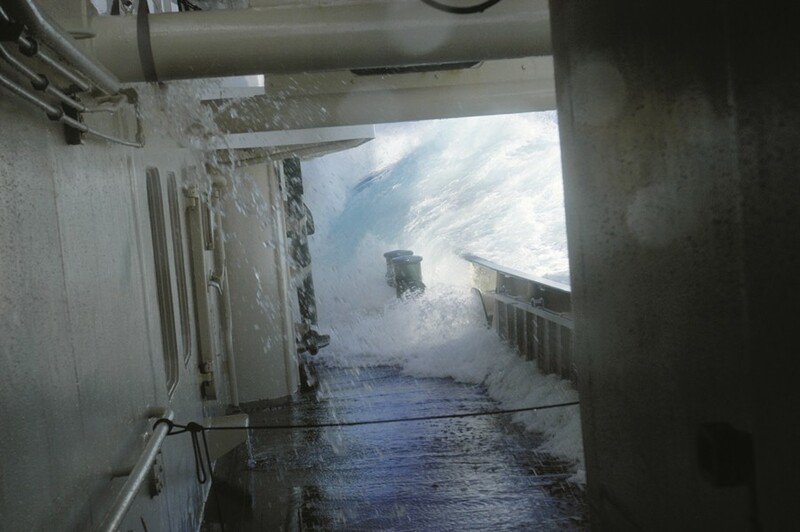 Drake Passage, the notorious stretch of water spanning the 500 nautical miles from South America to the Antarctic Peninsula, is considered by many to be the roughest stretch of ocean in the world. 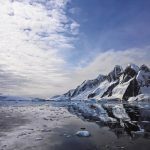 The prevailing westerly winds get squeezed between South America and the Antarctic Peninsula and, along with the shallow waters around Cape Horn, this can make for some extreme sea conditions. The excitement of arriving in Antarctica for the first time is indescribable. It is advisable to have an experienced guide aboard. 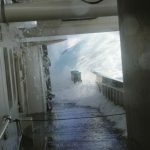 As well as their local knowledge, they should be across the many issues involved in safely operating a vessel in Antarctica. The wildlife and terrain, while incredibly diverse and starkly beautiful, are also unforgiving. A close watch on the unpredictable weather is prudent, though you may be lucky and get a run of calm, clear, sunny days where the pervasive stillness will fill you with awe. Sea temperatures will usually be one or two degrees and air temperatures can range between 10 down to minus five. There is little risk of water tanks freezing provided there is some normal circulation but output of water makers will be drastically reduced due all that chilly seawater. Although many areas of Antarctica remain unsurveyed, British Admiralty charts can be relied upon, at least in the popular areas for cruising. But, as always in Antarctica, caution should always be used and having a small RIB to check depths and contours at anchorages and passages is advisable. For anchoring, good ground tackle is essential. A suitable anchorage can often be difficult to find but with good planning and knowledge, they can be located. Anchorages can be very deep (up to 100 metres) and holding ground can be poor. Icebergs and the remnants thereof (called bergy bits and growlers) can be the greatest danger at anchor. As currents and tides change, a safe anchorage can turn into a doomed one very quickly if an iceberg starts bearing down on you. Ensure the bitter end of the anchor chain is accessible and able to be disconnected fast should the anchor and chain need to be slipped in a hurry. Have an anchor watch at all times and engines available for immediate start. Make sure to pack plenty of binoculars. They’re useful for sightseeing but even more important if you’re caught out at night, when steaming around ice can be a risky business. There are often plenty of volunteers amongst the crew to keep a sharp lookout, so ensure you’ve got enough binoculars to equip them all properly. People should have no impact when landing at heritage sites, or elsewhere. The only thing taken back from these visits should be photos. Take a boot-disinfecting bath. Any footwear worn ashore must be cleaned and disinfected on return to the vessel to prevent organisms being inadvertently spread around. All garbage and food scraps must stay on board. Sewage should be treated and kept in holding tanks until at a suitable location at sea, where it is authorised to be dumped, is reached. The most suitable way to get ashore is by inflatable boat. Nearly all landings will be beach or rock landings. A landing at Whaler’s Bay in the caldera (a cauldron-like feature caused by volcanic activity) of Deception Island to see the ruins of an old whaling station is a must. 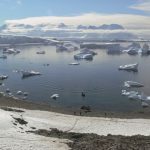 There are plenty of manned research bases around the Antarctic Peninsula and – with prior arrangement – visitors are welcome. Make sure to pick up some souvenirs and send a postcard from the small British outpost at Port Lockroy and take a tour the well-equipped US research base at Palmer Station. IAATO request that all tour vessels submit their cruising schedules well in advance and post details of vessel movements to all operators so that shore landings can be timed to avoid landing parties from two or more vessels showing up at the same place at the same time. An evening check-in on MF/HF radio gives the captain the opportunity to arrange the schedule to avoid these clashes and is also an opportunity to discuss weather and other issues that may affect vessels in the area. Keeping in contact and knowing where other vessels are is an important in case emergencies occur and assistance is required. It’s worth keeping in mind that there is a runway at an Argentine base on King George Island where special charter flights can be arranged to drop off or pick up passengers from Argentina or Chile. But be aware that these flights are costly and often delayed or cancelled due to bad weather conditions. 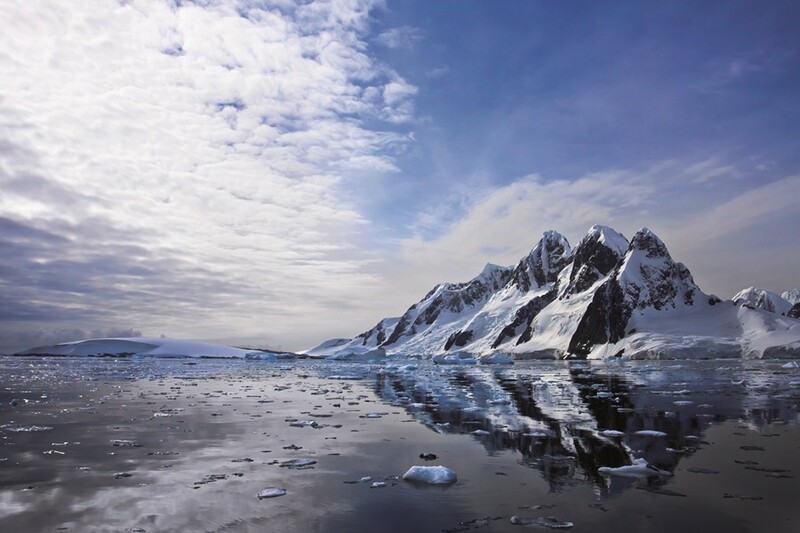 While it may involve a lot of cost and preparation, not to mention a long trip, seeing Antarctica is a magnificent experience. There is little room for error in this part of the world so a seaworthy vessel and competent crew are the two things that you can’t leave home without. Even with the most meticulous planning you’ll still encounter unexpected challenges, but that is just part of the unforgettable experience of travelling in this untamed part of the world. Marc Grise started his career at sea in the merchant navy and holds a Master Foreign Going certificate. He has worked all around the world and spent a lot of time in the offshore oil industry. Having begun sailing at a young age in New Zealand he started in the professional yachting industry in 1991, working extensively on sailboats. He has a lot of experience in yacht racing, from dinghies to superyachts. 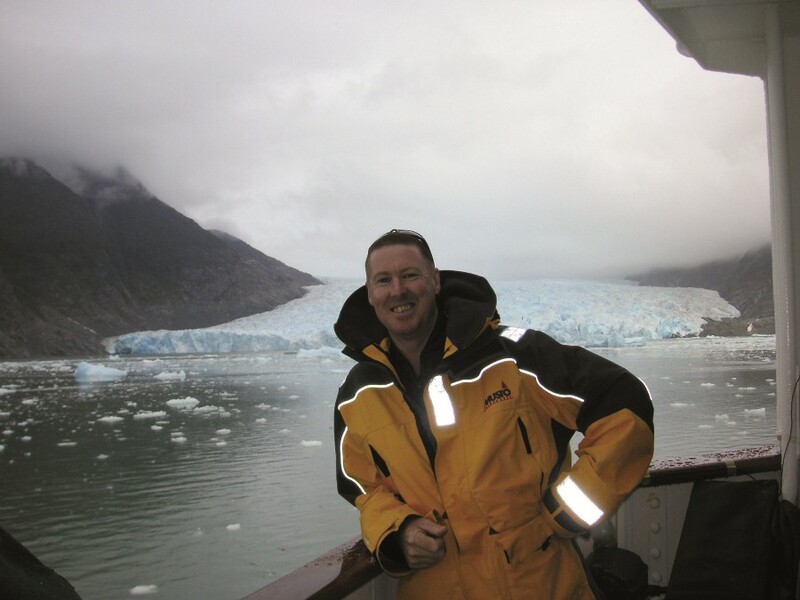 Mark was the commissioning captain on the motor yacht Lone Ranger, which has cruised many areas of the world, including Antarctica.